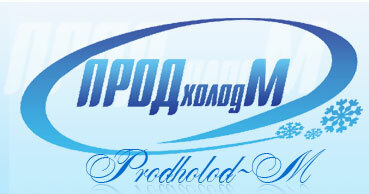 Company "Prodholod-M" was established in 2000. Now it is one of the leaders on the Ukrainian and world markets, which is engaged in collecting and processing of wide assortment of wild berries. The working experience and material assets, accumulated during the first year of activity provided the possibility to choose properly the streamline of subsequent activity. It was oriented towards the increasing of export volumes and quality development. During the development of the enterprise's activity, the power of refrigerating is increased and the manufacturing basis is being renovated. Since that time innovation and renovation are the policy of our company. Nowadays The head office and main production capacities are located in Novovolynsk town. There are modern freezing chambers at the site, which provide different levels of freezing and cold shelf storage, as well as special departments for processing, sorting and high quality cleaning system. Our company, using modern equipment, carries out all the processing stages. It means our methods of work are actually ecologically friendly. Our sorting and packing system makes it possible to keep all nourishing components and vitamins, that is very important for this kind of production. We have our own system of raw material stocking up, where all the technological processes are observed, that is very important for this kind of production. We carry out strict quality control on all stages from purchasing of raw material till the final goods production. We are going on and constantly improve quality and expand the assortment of our products.